Big achievements deserve big-time congratulations. 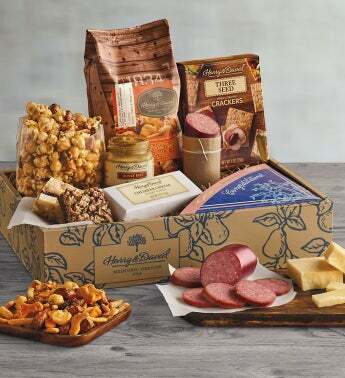 This banquet box features our famous caramel Moose Munch® Premium Popcorn, a white chocolate raspberry cookie bar, and a German chocolate cookie bar—all made here in our candy kitchen and bakery—as well as these mouthwatering delights: white sharp cheddar cheese, hickory-smoked summer sausage, three-seed crackers, honey hot mustard, and cheddar cheese snack mix. 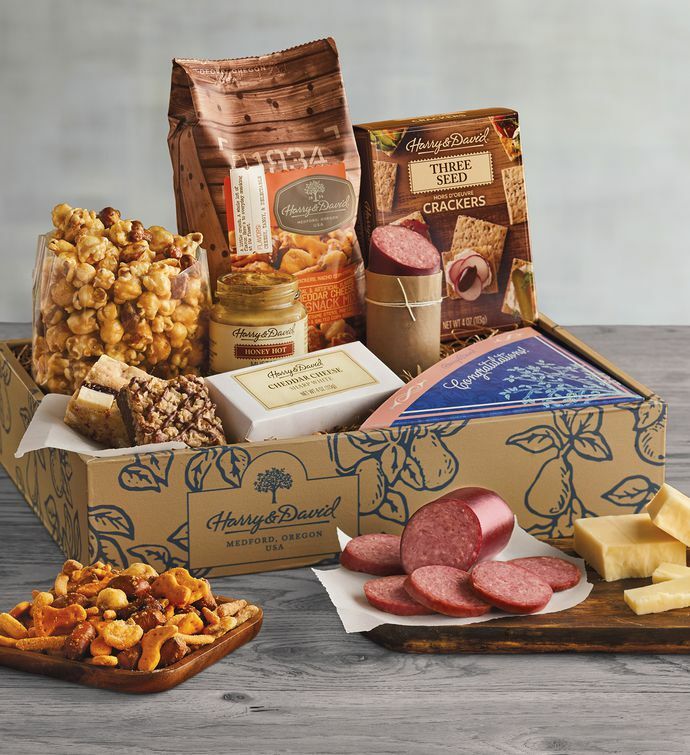 Give yourself a pat on the back for sharing this impressive gift.